This is a monthly blog post geared towards letting Champlin, MN residents know what's happening in the current Real Estate market, right here in their own community. Champlin Real Estate Facebook Page (Love these updates? For the month of January, Champlin has 18 new listings with a wide range of neighborhoods and home styles. Of the 18 homes listed in January, 6 of them are currently under contract, contingent on a successful inspection. 6 Champlin homes for sale have now moved to pending status. The 6 pending homes have an average price of $303,967 with 44 total days on the market. This is pretty typical for this time of year. As we inch closer to the Parade of Homes, more Champlin homes will be coming on the market. 11 Champlin homes sold and closed in the month of January. So yes, homes do sell in the winter!! Of the 11 Champlin homes sold in January, the average price was $256,255 with an average of 65 total days on the market. If you're looking for the BEST time to sell your Champlin home, contact me directly, or schedule a 30 minute seller consultation. No obligation! Champlin is currently in a more neutral buyer/seller's market, we still have a low level of inventory but we also have a low level of buyers which is keeping homes moving at a steady rate but not out of control like we have experienced in the Spring market. What's Ahead for Champlin Seller's? As we see more inventory entering the market around The Parade of Homes, the Champlin MN Real Estate market will start to gain momentum. I expect to have another successful Spring market again this year. On average my listings sold in 12 days or less last year with many of them selling in multiple offers AND over list price. In some cases more than $10,000 over the list price. With school boundaries changing and new projects like "hot dish" or Amazon coming to the area, more homeowners are re-considering where they would like to live. If this is you, give me a call to review your options. A move only makes sense if it makes sense to you! My seller consultations are FREE, no obligation but an opportunity for you to review your options so you can make the best-informed decision on your next journey! Curious how this affects YOUR Champlin Home value? When we see successful closing in Champlin we are creating comparables that will support your home's value. When we see multiple offers, low inventory and high demand we're creating supply and demand. Fortunately, Champlin is a high demand area with desirable homes, parks, trails, and resources. We have great Schools both private and public and we have lower taxes than our neighbors in Brooklyn Park and Maple Grove. The Elm Creek Park Reserve and community feel keep pulling new homeowner's in as well as most of my business here in Champlin is a move within the city. Each time a home sells we are creating a new record of value for your neighborhood. Being a resident also of Champlin and a local Realtor it's important for me to have YOUR home sell for top dollar. When your home sells for top dollar everyone's values go up! That's why I have created a market system to sell your home faster and for MORE Money! Curious how these sales affect your home value? Check the recent home sales near you, or visit MyChamplinHomeValue.com to get a free home value estimate!! What does this mean for Champlin Seller's? What does this mean for Champlin buyers? Champlin is snugly situated near the Mississippi River and offers a ton of fun for all! Champlin has more than a handful of parks which include Andrew's Park Splash Pad, and a Skate Park, a Lifetime Fitness, ice rink, newly renovated Champlin movie theater, and easy commuting access to Highway 169 and Highway 610 to help your morning commute. Plus 252 is a quick way into downtown Minneapolis (Search all Champlin Community has to offer). Champlin also offers restaurants, grocery stores, and coffee shops with three small strip malls with ice cream shops, Chinese Restaurant, Fast Food locations, Wells Fargo and Target. All the conveniences and a little smaller community feel than the neighboring Brooklyn Park and Maple Grove areas. See more Champlin School information according to Schooldigger.com. 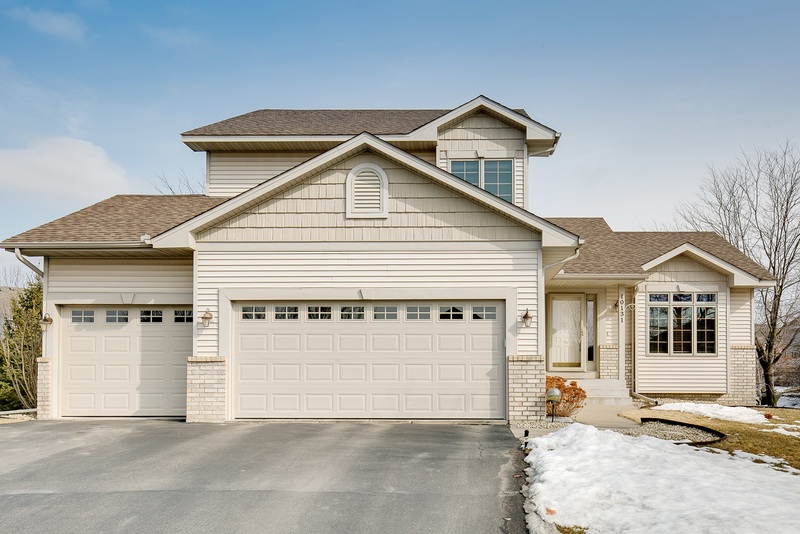 Now You Really Want to Find a home for sale in Champlin? If you're thinking about selling your home, I would love the opportunity to earn your business! I am a resident of Champlin and also an experienced Realtor. Please connect with me to schedule a seller consultation so I can provide you with the details of my comprehensive marketing plan! We can strategize to get your home sold quickly and for top dollar! HerdaHeidi@gmail.com for any and all Real Estate questions or, 612-807-4858!